Armenia Acquires New Russian Missiles... Or Did It? Armenia has shown off advanced missile systems it acquired from Russia, giving it both a potentially substantial military boost as well as a source for controversy in Armenia's state of heightened political tension. The Iskander missiles were spotted on Friday, in a rehearsal for tomorrow's military parade to mark 25 years of Armenian independence. The acquisition hasn't been announced officially, but the Russian newspaper Vedemosti cited two "managers of the military-industrial complex" confirming that Russia supplied four launchers (with two missiles each) to Armenia, and that they were provided under the auspices of the Collective Security Treaty Organization, which gives Russia's allies discounts on military hardware. There were reports last year that negotiations on a more advanced version of the system, the Iskander-M, were underway between Russia and Armenia, but those were never publicly confirmed. If this acquisition did in fact take place, it's a significant move: Armenia would be the first country other than Russia to get the weapons, among Russia's most advanced ballistic missiles. And it provides Yerevan a substantial capability boost in its arms race with Azerbaijan. Armenia-backed forces currently occupy Nagorno Karabakh, which is still de jure part of Azerbaijan, and Azerbaijan has heavily rearmed with the aim of taking Karabakh back. "Their presence in the Armenian armed forces has already had a deterrent effect, deterrence on the strategic level. And this was demonstrated in April," Yerevan-based analyst Sergey Minasyan told the website News Armenia. He noted that in the significant outbreak in fighting in April, known as the "four-day war," Azerbaijan -- apparently already aware of the acquisition -- chose not to carry out large-scale artillery attacks against strategic Armenian forces or population centers, as it threatened. "Baku decided not to do this, to a large extent because they feared retaliatory strikes, restrained by the potential of these weapons systems." While this would normally be the sort of thing Armenians would celebrate, in the current tense political environment it's instead become a source of conspiracy theorizing against the authorities. 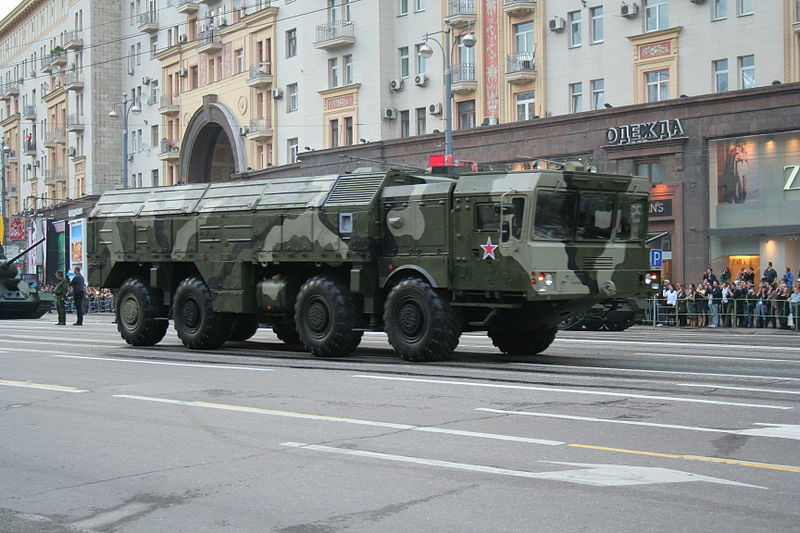 After the photos of the Iskanders in the parade were published, rumors spread on social media that it was just a show, that the missiles were in fact Russia's -- Russia already deployed a more advanced version of the missile, the Iskander-M, to its own forces in Armenia in 2013 -- or that they were restricted for use only against Turkey, not against Azerbaijan. This is the fallout of the July crisis in Yerevan, when a group of ultranationalists occupied a police station in protest against the government's alleged willingness to compromise on Karabakh, Minasyan told The Bug Pit in an email interview. "As it was very clearly demonstrated during so-called July events, the level of distrust of the authorities is very high," he said. "The society in Armenia is talking very critically about government initiatives and moves, so any kind of government achievements are perceived very negatively, even if they're connected with rearmament of Armenian military or Karabakh. And the fact that Iskanders have been purchased from Russia is also complicated the situation."